Yasmine Ostendorf, Programme Manager at Cape Farewell, reports back from her maiden voyage - around Scotland's most northerly islands - on an ex-herring-drifter named The Swan. Since 2001, Cape Farewell has collaborated with the world’s leading climate scientists and some of its most influential artists to instigate a cultural response to climate change. Cape Farewell employs the notion of ‘expedition’ – arctic, island, urban and conceptual – to interrogate the scientific, social and economic realities that have led to climate disruption. Each expedition inspires the creation of artworks that are motivators for change. 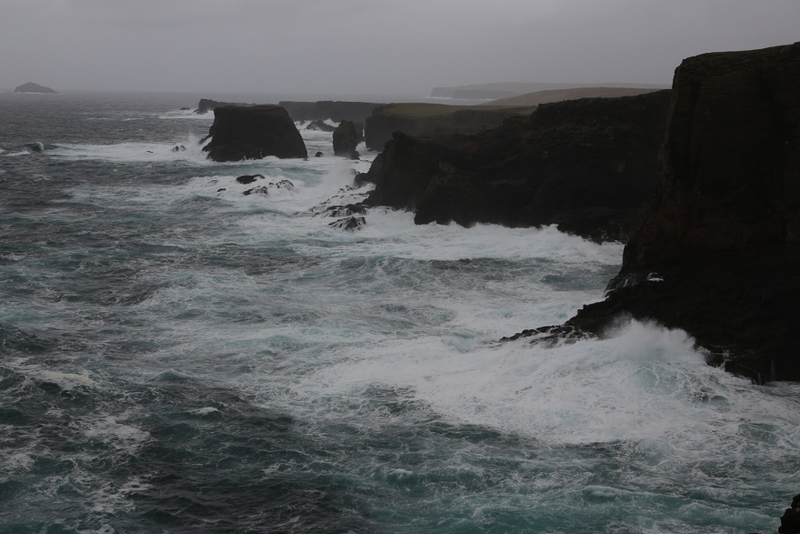 This year's expedition set sail around Shetland, Orkney and Fair Isle, Scotland’s most northerly islands. 27 leading artists and scientists explored technologies, projects and practices supporting the resilience of Scotland’s island communities and their ecologies and cultures. Yasmine Ostendorf, a city girl from Amsterdam, had never sailed before she joined the Cape Farewell team. Here is her personal diary from her week at sea. I arrive in Scalloway, on the west side of Shetland. Apparently our boat for the next ten days, a 113 year-old ex-herring-drifter called The Swan, hasn’t arrived yet. 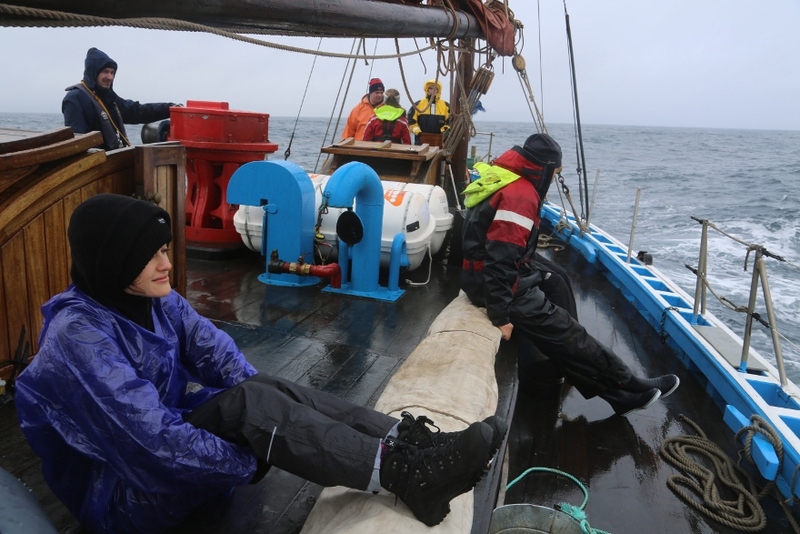 It is still sailing with Cape Farewell's first group of artists and scientists around Orkney, where they're learning about using waves as a form of renewable energy. Though the absence of the boat implies less time at sea for us, I quite enjoy that we just have to wait. You can’t influence the boat's arrival; so you have to immerse yourself in the fact that you can’t do anything about it. I’ve gotten very used to waiting and biding my time as I lived in Dar el Salaam for a while – there, you're lucky if your dala dala shows up at all. Waiting time is perfect for non-utilitarian thinking and staring. Two things I feel we underestimate in life. This is the kind of landscape that makes you want to overthink your life. So I stare at the water, trying to spot the first contours of a sail. The Shetland landscape is different from anything I’ve ever seen before. It’s rough, misty, eerie and gloomy. It makes me feel melancholic. It’s the kind of landscape that makes you want to overthink your life. 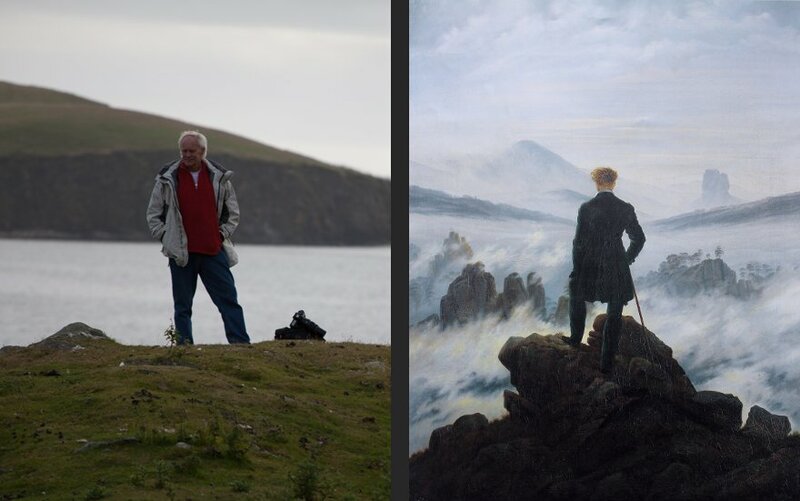 I spot David Buckland on a rock, director of Cape Farewell, doing the same: staring. The Swan has arrived, but this doesn’t mean we immediately set sail. The wind is causing its own challenges. In our (my) daily city life I never make decisions based on the elements. “Sorry! Can’t come to the office today, its raining!” is generally not accepted as a great argument. In the city we don’t really have such a thing as weather, but when it comes to boats it's a very different matter. All your decisions are based on the elements. The tide, the wind, storms, rain: they will all massively affect your journey, and if you don’t take them into account they could kill/severely damage you. This is the reason we don’t sail to Foula, the island we were supposed to go to. It's a big disappointment for some people but inflexibility and boats have proven to be a dangerous combination. Inflexibility and boats have proven to be a dangerous combination. The 1983 film Fitzcarraldo by Werner Herzog tells the (true) story of Brian Sweeney Fitzgerald, who dreams of building an opera house in the middle of the rainforest. Some people wish for a little house in the countryside, but not Fitzcarraldo; Fitzcarraldo dreams big. With his crew he travels through the Amazon rainforest by boat, searching for a territory rich in rubber that will finance the opera and realise his dream. 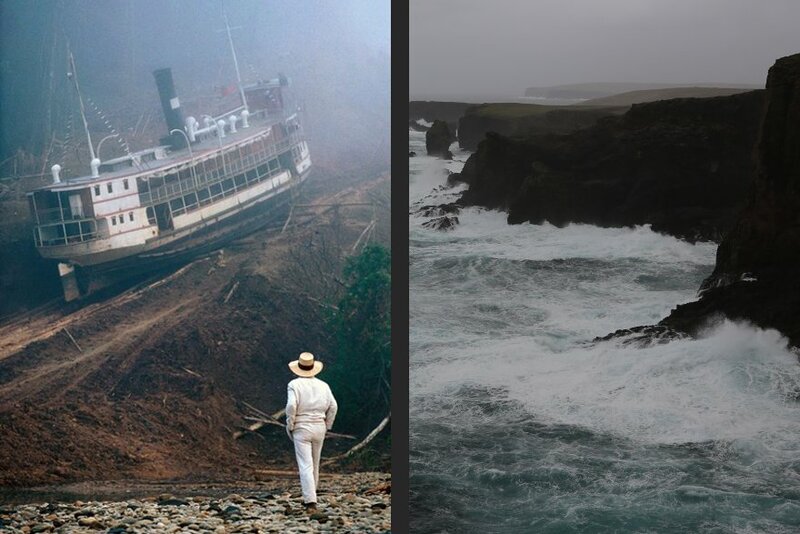 The area seems impossible to reach over the water but persistent as Fitzcarraldo is, he comes up with the magnificent idea to haul the enormous steamship over a steep hill in order to access the territory. Interestingly, as the documentary Burden of Dreams by Les Blank shows, Herzog clearly identified extremely strongly with his main character. In making the film, Herzog insisted that the ship should really be hauled over the hill. No special effects. Nothing, it seems, is too grand when it comes to boats and dreams. Day 3 – Who is our Hercules? Eventually we set sail, and I've never felt so clumsy. The boat vocabulary is completely new for me (mizzen? halliards? jib?) and I keep on grabbing the wrong ropes. At first I felt really proud when hauling the main sails, until I realised the two strong men behind me were actually doing all the work. If you left me on this boat I probably wouldn’t survive a week. I think about my friends in Amsterdam and how useful they would be if we were to end up on a ship at sea (working in the area of climate change I think a lot about disasters related to rising sea levels). We know when is the best time of the day to put something on Facebook to have a maximum amount of ‘likes’ but we don’t know how to make fire, hoist sails and would probably have trouble simply killing a fish. Though we're with a diverse group of people, I doubt we'd survive a voyage to the end of the world. 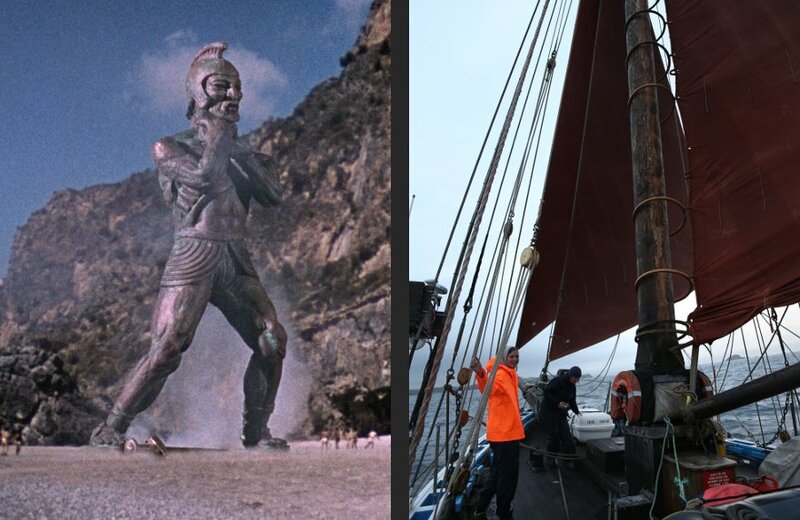 Another film pops up in my head: Jason and the Argonauts, a 1963 film by Don Chaffey with amazing visual effects by Ray Harryhausen. In order to voyage to the end of the world (Colchis) to find the Golden Fleece, Jason must carefully choose the crew for his boat. He selects them based on their amazing qualities and skills. Some are great at throwing, some are smart, and most of them are very strong. Together they can conquer the seas. The battery of my phone has been dead for about three days now, which is a personal record. It feels liberating, but also wrong. I have a strong desire to Google (on my phone?) whether there's internet in Unst, the next harbour where we'll arrive. But quite quickly I realise this is a ridiculous thought. Just the fact that I feel like a pirate because I’m on a ship doesn’t mean that islands in Great Britain don’t have internet any more. The rumour goes that the harbour of Unst has SHOWERS. 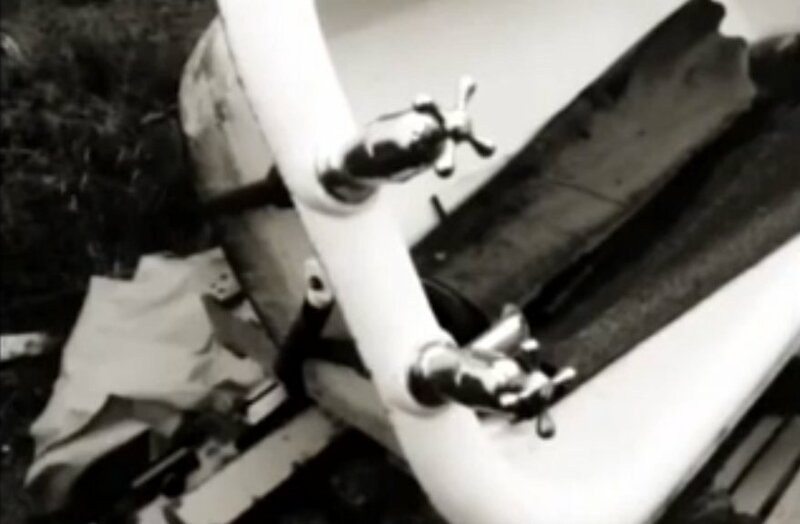 The problem with one person taking a shower is that then everyone needs one. Though I had a secret shower in an empty hotel room in Scalloway (I was feeling very adventurous because this is an expedition after all! ), I’m now desperate for a fresh one. The problem with one person taking a shower is that then everyone needs a shower because you can smell the difference. At least now we all smell bad. The shower rumour catalyses a conversation about having to choose between a hot shower or using the internet. In the short term the decision seems obvious (shower), but what if you had to choose for the rest of your life? Both seem like modern necessities, but on the boat have turned into luxuries. I would have to give up discussing the gossip in Amsterdam over Skype with my friends and the Youtube parties where everyone tries to impress each other by playing the most obscure videos – both things I cherish very much. And what about my Wikipedia obsession? I tell myself a cold shower is good for the blood circulation. At the end of the day, when we all had both showers and access to internet we sit around the table and poet Sabrina Mahfouz shares her work inspired by the dilemma. I couldn’t have said it better. Today we caught three mackerels. Tam tried heroically to kill them by hitting them on the head. It looked very dramatic but was very ineffective. They kept on flapping. Their saviour was shipmate Ailish who had a more practical approach, and, with two fingers, elegantly pulled out their gills. I was in sheer shock. Suddenly there was blood and the fish still had spasms. “That’s just the muscles,” Ailish comforted me. I love eating mackerel – especially with mayonnaise on a sandwich – but after this incident I wasn’t sure if I would enjoy it quite the same way ever again. In the afternoon we attended a lecture at the Marine Centre, part of the University of the Highlands and Islands. 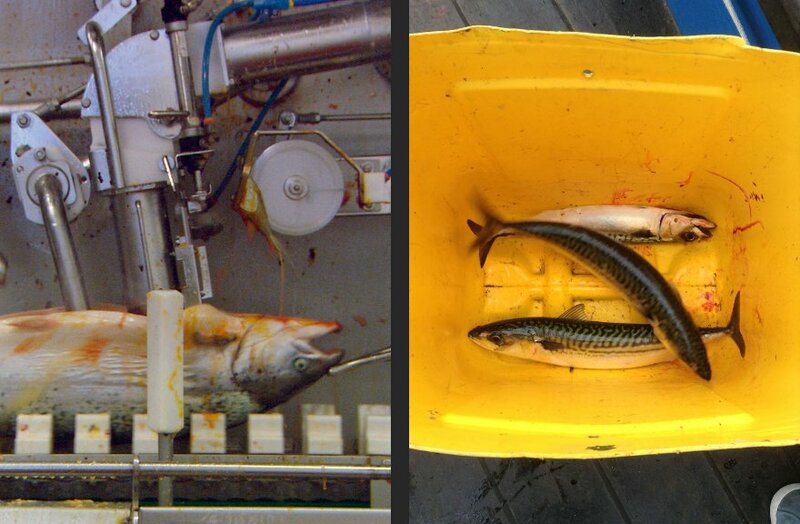 Several experts informed us about the fishing industry in Shetland. I never quite realised how big this industry was, and how famous Shetland is for fishing. Apparently all the MSC certified scallops and crab come from Shetland and it's also the second most important fishing port in the UK. Seafood is unsurprisingly the most important industry on the island, worth more than £300 million. It's even more important because the land alone is insufficient to support the island's population. Hence the saying that an Orcadian is a farmer with a boat, and a Shetlander is a sailor with a croft. An Orcadian is a farmer with a boat, and a Shetlander is a sailor with a croft. The 2005 documentary Our Daily Bread presents a very clinical and actually quite aesthetic portrait of modern food production and its technological efficiencies. It’s a complete ‘no judgement’ approach, which is very refreshing: there are no comments, no music, no moralistic voice-over explaining how bad it all is; just a camera showing the clinical reality of where our food comes from. No judgement indeed, but it made me want to stop eating at all. Sabrina lives with the ethics to only eat what you could kill yourself. She reckons she could kill chicken and fish, but she couldn’t kill a cow. Then again, we discuss, you can live of killing one cow for a long time, and for the same amount of meat from a cow you have to kill lots of chicken or fish. That seems a bit unfair? Is it better to kill one cow or to kill 20 chickens? Towards the end of the day a dead whale is reported to the skipper. It's big and white and dead, with birds sitting on his back. I feel sad looking at it, but I also wonder if we could eat him. It would save so many cows. For the past five days now, I've been surrounded by the same group of people in a small space. Skipper Richard optimistically tells me that a real estate agent would call it a cosy and compact living space. Amazingly, I’m not feeling irritated by anyone in the group, but I do notice I’m becoming quieter than I usually am. This is because our main activity in the evenings is storytelling (and I don’t have a lot of stories just yet). We hear stories about being lost at sea because of a Green Peace campaign (Jens); stories about a flying pan of curry on a sinking ship (Ruth); and stories about puppies being used as bait for whales in Greenland (David). I suppose the sea always comes with stories. Either you're experiencing your own sea adventure, or you're listening to the sea stories of others. Charles Edward Smith's story shows the great importance of creative expression. My first sea story is a very common one, as yesterday I was terribly seasick. I puked over the railing of the boat about eight times and I was so cold I went back to my berth and shivered for 20 minutes. I was desperate for distraction and put on my headphones. I brought my iShuffle to sea as this is the smallest device I own to listen to music and, of course, I was trying to travel light. I once heard a famous blogger saying you should reveal the most embarrassing things about yourself on your blog because that’s when you get most followers. I don’t share this mission in life, but will share with you that my iShuffle is filled up with very bad music, varying from nineties house to a selection of the cheesiest of Les Plus Belles Chanson Francaises (“pour un flirt, avec toi! Lalalalala…”). The great thing with the iShuffle is that it always has a surprise for you, so while I was shivering in my berth, throwing up in a paper bag, suddenly there was Scott McKenzie reminding me I should wear flowers in my hair when I go to San Francisco. I started singing along, distracting myself, visualising myself dancing in psychedelic clothes in the Sixties and it was unbelievable how the song immediately took me to San Francisco, far away from cold and puke. Earlier this week Ursula was telling me about a book called In the Deep of the Sea, which she came across in the archives of the Shetland Museum in Lerwick. It’s a diary from Charles Edward Smith, a sailor on a whaling and sealing voyage between Greenland and Canada in 1877. They got stuck in the ice for months but a few of them survived on hardly any food. He wrote the diary every day, though they were freezing and dying from hunger. What kept him sane was the writing. To me that shows the great importance of creative expression. When things get tense, we have the power of art. We are getting towards the end of our journey and as a goodbye gift the sun starts shining for the first time this week. Though I’m still cold, as my clothes never really dried, the impact of seeing the sun is amazing. For most of the week I experienced the sea as something intimidating. It comes with overwhelming force, it’s wild and untamed and the waves come so high that they can easily bash you against the rocks. But with the sun shining, the colour of the sea has changed from black to dark blue, and looks at me innocently with her soothing little waves. After spending a week at sea I start to get nervous about getting back to the city. Like an old grandma who’s never been to the city, I imagine London as this diabolical place where thousands of people are running around, shouting in their phones, bumping the horns of their cars, and everyone is too busy to even register you. Though I’ve been with a group of people almost non-stop this week, being at sea has made me feel isolated. Away from everything. And against my expectations, that felt really good. It's a fantastic feeling to be part of a community, to need each other when pulling ropes. Last year I read Thoreau’s Walden and on our last sail to Lerwick I contemplate if maybe now is the time to spend a year alone. A year away from everything and everyone, just me and nature. In Walden Thoreau describes his immersion into nature, with the goal of improving his understanding of society. Only by stepping back, living simply, alone and self-sufficient, can you really find personal introspection, independence and spiritual discovery. I am happy in this remote bubble at sea and would like to stay in it. Maybe now is the time, now that I’ve renewed my love and empathy for nature, something that I have previously forgotten about because of my love affair with city life. Then I think about the amazing stories, the jokes, the discussions, the caring, the singing and the learning of this last week and realise I’m not ready for a year alone. What I want is quite the opposite of that. Much more than being a week outside of the city and this being an expedition about the sea, this was a social experiment and an expedition through my own psyche. I learned about being vulnerable and dependant on others. It's a fantastic feeling to be part of a community, and to need each other when pulling ropes. The feeling that there is always someone there to back you. Above all is the realisation that even the strongest person in the world cannot hoist their sail alone. Yasmine Ostendorf is Programme manager for Cape Farewell, an international not-for-profit programme that instigates cultural responses to climate change. Beautifully written, great pacing. Kept me reading to see what would happen next and how the author would respond to and learn from it. I love the shower vs internet conversation and the juxtaposition of playing her iShuffle while puking. I would have appreciated hearing a bit more about how the sense of community is built on the ship - it can't just be through proximity and sharing tasks. Or can it? 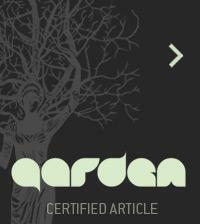 I enjoyed how the writer slowly came into the nature experience. It reminds me of multi-day bush walks, where the first day is usually pure torture and the last one is regret about being unable to simply keep walking. It's not so much the activities but the way one's mind takes in the experience. Also, as she pointed out, most of us don't have to think of weather for what we're doing. On ship, everything is dictated by the weather conditions. I thought about this while spending a day inside my home, due to a freak storm, what was called a "once in a century" deluge. Interesting mention of Henry David Thoreau. There are so many people who think that he lived as a hermit for two years in his little cabin by Walden Pond. But he never intended to retreat from the world, and he often engaged with friends, went to Concord's lectures, enjoyed parties/dinners with friends, etc. Perhaps the isolation he enjoyed in the 1800s is not as challenging today, so we search for places that are very isolated, with no or little communication available.